He and his partners in community development, which include the city, say Market Street is too wide at 64 feet across. It’s dangerous to cross on foot with no on-street parking or bike lanes, which promote business and connect people and places. 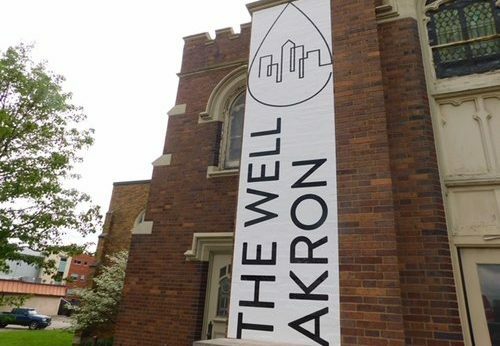 As a local resident and the director of the Well Community Development Corp., Kohl hired a consultancy firm in May to collect ideas like these from 200 neighbors. 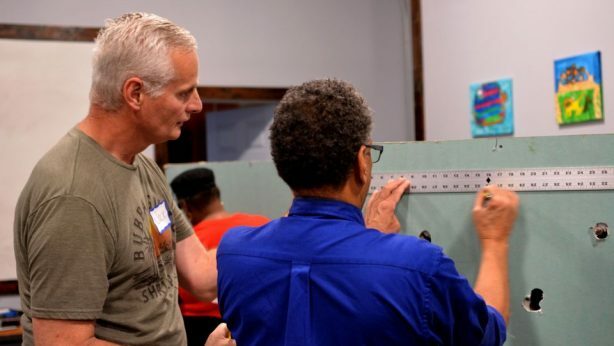 At City Hall and Family of Faith United Methodist Church this week, the public got a first look at what’s become the Middlebury Neighborhood Plan, a blueprint for a more connected community. Middlebury’s 2,700 homes are the second cheapest in Akron’s 24 neighborhoods, just behind nearby University Park. At 70 percent, no other Akron community has a greater share of homes built before 1940. Values suffer from the city’s No. 2 vacancy rate and No. 6 rental rate. Middlebury’s 5,405 residents — statistically some of the city’s youngest, poorest and least educated — live in a broken housing market. Risk-averse lenders, blight and unemployment block neighborhood-stabilizing home ownership. Without living-wage jobs and a mortgage, families struggle to build equity. Facing these challenges, Middlebury formed one of Akron’s few community development corporations guiding local development from the bottom up. A group of business, nonprofit, church and community leaders called the Neighborhood Network, which fills a void left by the failed University Park Alliance, met in February to lay a sober foundation for the plan unveiled this week. Attendees grappled with Middlebury’s problems and solutions, its deficits and assets, how to respect the past and plan for shared prosperity by helping those with the least. • 75 percent of property belongs to people who don’t live in Middlebury. At the moment, the housing market discourages lending or investing. Kohl’s agency keeps buying and fixing homes to sell to responsible owners. On track to buy and sell 60 housing units in 60 months, the Well CDC is building a critical mass of ownership, forcing landlords to keep rents reasonable while maintaining their properties. Mission-driven, Kohl waits for the day when “the market and moral imperative overlap.” He’s put his money where his mouth is, personally investing $60,000 in one home later appraised at $36,000. Nick Browning, Akron regional president for Huntington, said he’s “prepared” to help all eight neighborhoods targeted by the fund. He’s talking to North Hill. And may go next to West Hill or East Akron. Community development corporations (CDCs) in each have started grass-roots conversations around planning. The last in line are South Akron, Summit Lake and Sherbondy Hill, which share Middlebury’s dire statistics but lacks its business base and CDC.